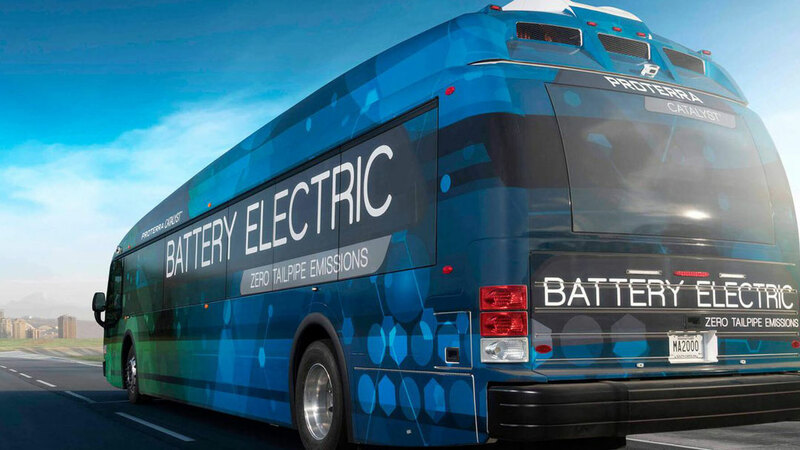 A growing number of California communities are adopting fuel-cell and battery electric buses. Because they don’t have tailpipe emissions, electric-drive buses play an important role in reducing transportation-related air pollution in the state and can improve air quality in the communities they serve. Last week on the heels of a recently released and sobering report by the Union of Concerned Scientists titled, “Inequitable Exposure to Air Pollution from Vehicles in California,” the South Coast Air Quality Management District called for a one-half cent tax measure to raise revenue for clean air products. The Union of Concerned Scientists (UCS) report explored the significant contributions of cars, trucks, and buses to particulate matter air pollution in California and the disproportionate effects such pollution has on low income communities and communities of color. Although the findings in large part were not new, the health implications continue to raise red flags of concern. The report also noted unequivocally how, “Advancing clean transportation policies—such as those that encourage vehicle electrification, cleaner fuels, and reduced driving—will help reduce air pollution emissions. The proposed South Coast Air Quality Management District (SCAQMD) measure if successful, could potentially raise $1.4 billion per year to pay for clean-air projects such as zero-emission cars, trucks, trains and cargo equipment. The agency is asking the state legislature to consider the tax increase for the state’s most polluted counties which includes Riverside, San Bernardino, Orange and Los Angeles. Higher levels of fine particulate matter air pollution are found in pockets of southern California (left) and the Bay Area (right). Northern California’s air pollution is less concentrated than Southern California’s metropolitan areas. The SCAQMD has never passed a tax measure before and this one is further complicated by the fact that it will only be applicable in a hand full of the state’s 58 counties—the four within the agency’s jurisdiction. As a result, bringing this measure to fruition is fraught with challenges. The state legislature would first need to approve placement of the proposed measure on the ballot in the impacted counties only. This requires the establishment of a four-county voting district. Next, provided the bill is adopted and signed into law, any advocate for the bill could gather signatures to qualify it as a ballot initiative which would give voters an opportunity to vote for or against it, or the SCAQMD can opt to place the measure on the ballot itself in the newly created voting district made up of the four counties. The reality is, many in the communities most impacted, i.e., low income and/or minority, are the very ones least able to absorb the impact of an additional tax, yet they bear the lion’s share of health burdens caused by poor air quality. Research has clearly linked exposure to particulate matter smaller than 2.5 micrometers in diameter (PM2.5) to increased illness and death—usually the result of heart and/or lung conditions. Such particulate matter can deeply penetrate the lungs and some of the smaller particles can also enter the bloodstream. 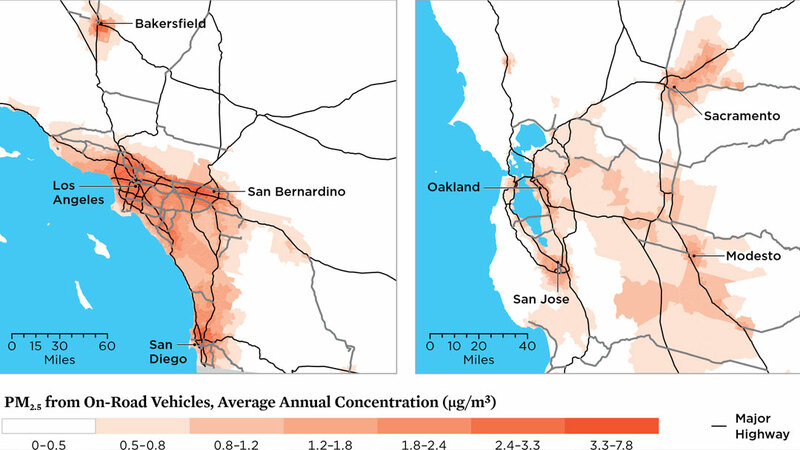 The UCS report once again highlighted how the use of cars, trucks, and buses in California directly produces PM2.5 and produces gases that form additional PM2.5. A recommended way forward appears to be a reduction in vehicle emissions through the introduction of clean transportation policies which can include more vehicle electrification, cleaner fuels, and public transportation alternatives that will result in reduced driving. California Counties with Highest Population-Weighted PM2.5 Exposure. Six counties, which are among the most populated counties in the state, have PM2.5 exposure levels above the state average. As we consider the SCAQMD recommendation, we must ask ourselves, “How and why should low income communities pay for a problem they did not create? And, if they don’t, who should? Finally, if no one pays, what happens to the health of children raised in these communities in the long run? The lowest-income households in the state live where PM2.5 pollution is 10 percent higher than the state average, while those with the highest incomes live where PM2.5 pollution is 13 percent below the state average. UCS also reported Particulate Pollution from On-Road Vehicles Is Highest in Southern California. Although Los Angeles ranks the highest, higher levels of fine particulate matter air pollution are also present in the inland region. 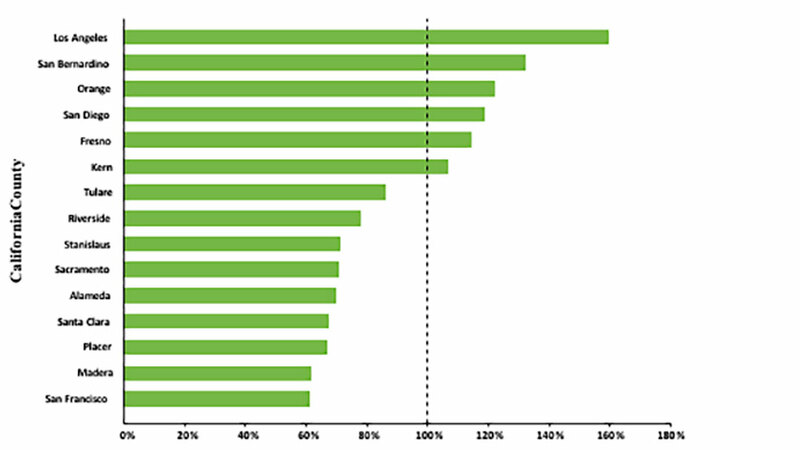 According to the report, there are only six counties with an average exposure from on-road transportation that is greater than the state average—four of them including Los Angeles, Orange, San Bernardino, and San Diego are in the top five most populous counties in the state with a combined population of nearly 19 million people. There is little question, on-road transportation such as diesel and gasoline vehicles has placed significant and inequitable health burdens on the California communities that are least capable of bearing the economic burden as proposed by the SCAQMD. Yet, the potential health implications to these residents and their children may keep them from saying “no” to any proposed tax increase aimed at a long-term solution. Afterall, what would you be willing to pay for the health of your child(ren)? The analysis provided by the UCS is evidence of the need for additional programs/legislation that can inform the public of health implications and help shape the future in ways that reduce pollution exposure and environmental inequities in the state. Sadly, like most other burdens borne by low-income and minority communities, solutions to issues like this are either too long deferred or come at an economic price the poor can hardly afford to bear. Some have expressed concern in recent years over the explosion of warehouses in the inland region and the added burden trucks, moving in and out of the area, has levied on counties already heavily polluted.